As parents, we’ve been given a powerful promise with clear instructions. God tells us in Deuteronomy to “teach our children diligently.” This passage—as well as many others—gives us great insight into how to train our children and how to enjoy the promised blessing that always accompanies the mandates we are given. So, why are we as Christian parents still uncertain? Why do we live in fear? Why are we losing our children in record numbers? And what can we do about it? 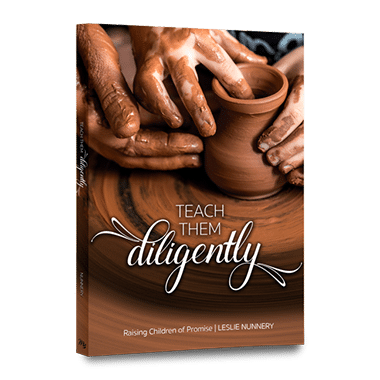 Teach Them Diligently: Raising Children of Promise is a solution-focused, easy-to-read guide that is parent-centric and sets out to make the point that Christian discipleship—as commanded in the Great Commission—starts in the home.